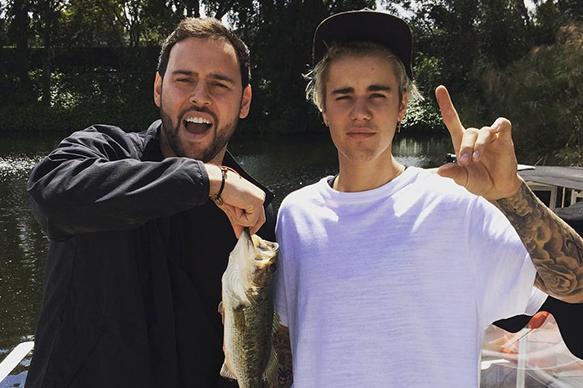 Damn, Scooter Braun Gets Real About Justin Bieber's Drug/Alcohol Abuse Back in 2014, Says He Was Worried He'd Die From Overdose - T.V.S.T. We knew Justin Bieber was a little douchebag back in 2014/2015, but we did not know he was seriously struggling with drugs/alcohol. Scooter Braun, who has managed Bieber since he was 13, spoke on Van Lathan’s The Red Pill Podcast recently and talked about how scary that time period was for everyone who loved Bieber. Honestly…that’s pretty shocking. Like we said, we knew Bieber partied back then, but we didn’t know the situation was that serious. Although, I guess it should have been obvious considering he did get arrested for DUI and his house was raided by police after he did nearly $20,000 worth of damage to his neighbor’s house with dozens of eggs. “He used to yell and scream at me, and he wanted to put music out, he wanted to tour, but I thought if he did that, he would die. So, I just refused. Thankfully, the Biebs is in a good place right now. He’s found God and he just recently got engaged to what we assume is the love of his life, Hailey Baldwin. Hopefully it’s all up from here.